Twitter has announced a test project increasing the character limit to 280. Twitter just announced a test project allowing tweets to be expanded to 280 characters – double the 140 characters limit that initially made it the micro blogging website so popular. This has made a lot of people very angry and has been widely regarded as a bad move. 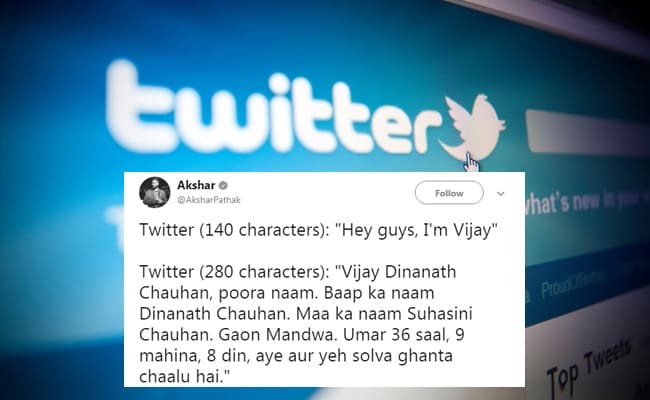 The hashtag ‘280 Characters’ has been the top trend on the website, and jokes making fun of the increase in character limit have made their way to Twitter. we compiled some of the funniest ones for you to see. What do you think of the change? Let us know using the comments section below.